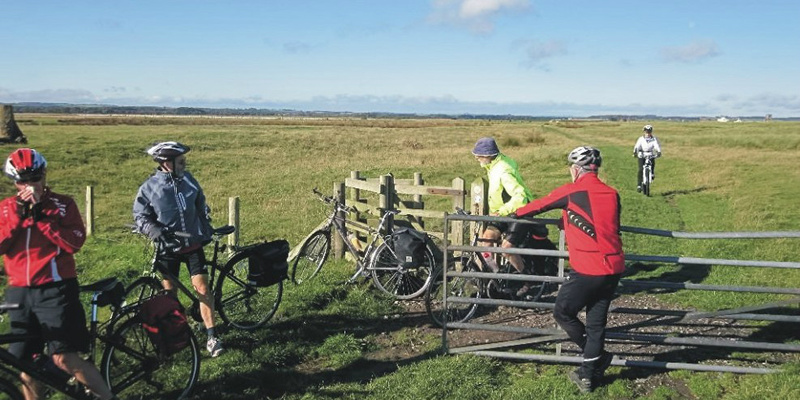 Berwick Cyclists is a group set up to promote cycling in and around Berwick upon Tweed and to campaign for better cycling conditions in the area. Our aim is to enable cyclists to travel safely to work, school and shopping and enjoy safe recreational trips. We also aim to develop and promote a first rate offer to visiting cyclists which will lead to a massive boost for the local tourism economy. We will achieve these aims by developing a comprehensive cycling plan for the area around Berwick. Our first priority is to bring about the following immediate improvements to the cycle network. The signing and development of a clear and safe cycle route through Berwick Town from Spittal in the south towards Paxton in the north. The creation of a high quality cycle route from Berwick south to Beal, in particular by providing a hard surface route from Spittal to Cocklawburn and from Goswick to Beal. The creation of a safe crossing of the A1 at Cheswick Buildings.